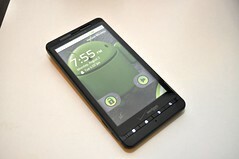 I haven't read Waiting for Godot, but I think I know enough of the theater fan's movie classic, "Waiting for Guffman" to make the comparison to this Droid X user's long and patient wait for the Android 2.2 update. After weeks and weeks of rumors, each claiming that Froyo was just around the corner, looking for clues in Motorola Matt's cryptic forum messages "late summer...", and having written this opener on 9/19 after reading a PC World article that hinted at Monday being the day, it's time we take a look at what all the fuss was about. And unlike Godot and Guffman, Froyo did make finally arrive. Today, we make one final preview at what we'll be looking forward to the most with 2.3.15.
will the increase in websites that I'll be able to view without the "You need to install Flash Player to view content" be enough to overcome the inherent challenges of replacing mouse overs with taps and long presses? 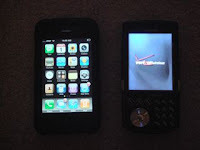 This was a potential deal breaker for me during my first week with the Droid X. Simply put, I could not get my Exchange account to work on the Droid, thus leaving me without any convenient access to my work email, calendar, and contacts. Thankfully, I stumbled upon a forum where a Motorola employee named Matt helped us out with free licenses for Touchdown which miraculously fixed whatever problem Motorola was having with Exchange. Interestingly, it was this same Matt who was featured in several rumors about Froyo's release in September. He also echoed Motorola's statement that "late summer" would be the date, and sure enough, fall begins in less than 24 hours. Back to Froyo: I'm keeping my fingers crossed that I'll be able to use the native Exchange client. 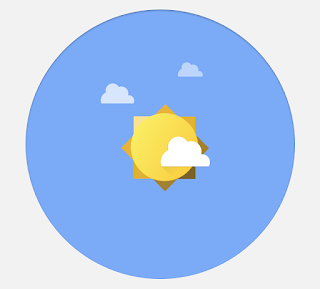 Despite all that Touchdown offers, I really like the native Gmail app, and even the regular email client sometimes impresses me more than Touchdown's look and feel. Not that I have any complaints with the Droid X's speed. It already runs laps around my old iPhone 3G. However, when there's talk of a 2x-5x increase in speed, making scrolling, app-loading, and web browsing smoother, faster, and better, you can't help but get excited. Add to this the above, and other features such as auto app updates, a slight re-design, voice recognition for search, the option to run apps from the SD card, and you can begin to understand the hype behind the OS improvement. Note that I did not make mention of the mobile hotspot or tethering additions, as I am sure Verizon will not allow this to go through. Stay tuned for Part II on Thursday when I'll share whether the Droid X on Froyo managed to be worth the wait.